Time is your most valued resource. Make every minute count with on-demand private jet solutions for your business or leisure. EXPERIENCE BETTER JET TRAVEL TODAY! Connect with us for a custom jet charter quote and experience excellence in aviation. Alerion Aviation delivers world class jet charter flight services to those who expect the highest levels of safety, service, and reliability. Alerion operates a world-class charter fleet and hangar facilities in the busiest U.S. private jet service markets. Alerion understand the importance of your lifestyle and the demands of your business. We anticipate your every need with our corporate and personal private charter services. Don't compromise your standards; fly on your time. Maximizing time is crucial. Alerion private jet charter flights are catered around your desired schedule, location and flight routes. Avoid long lines & get through security in a relaxed fashion. Travel in comfort & convenience with family, children, pets, or business associates. Dealing with the unexpected is stressful. Don't worry if your meetings run long, or there is a sudden change of plans. Alerion private jet flights are individualized for you. We work to understand your unique requirements and craft our service to ensure they are met. 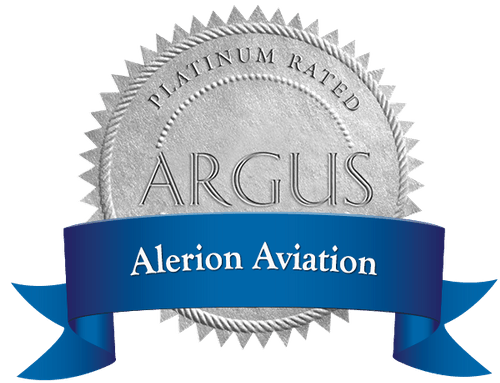 As an industry-leader in operations & safety, Alerion provides top-level standards in both aviation and personal safety. Trust that your private jet charter flight will maintain discretion and maximum privacy. Every private flight with Alerion is personal. Our experienced agents and aircraft consultations are on hand to ensure every aspect of your chartered flight is perfect. From transportation to in-flight entertainment, no detail is too small. Request a quote and never miss another flight or meeting. Catch up with your New York office in the morning, and meet with a client in Florida for lunch. With private jet charter flights from Alerion, leave nothing to chance. Our agents are available every day, to bring you convenient and flexible private flight solutions. Give yourself and your company access to private aircraft charter flights when you need them. Partner with Alerion Aviation and your business will enjoy guaranteed availability, operational excellence, and aircraft service when you need it most. Alerion is dedicated to getting you to your destination on your time and with ultimate reliability. 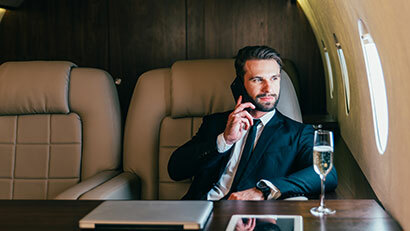 Our air charter brokers are available to craft unique corporate jet charter solutions for your business or private jet charters for you and your family. With unparalleled customer service, Alerion will coordinate ground transportation, in-flight experiences, and every meticulous jet charter detail. Experience dedicated access to our committed charter consultants for a comfortable and stress free travel experience. From take off to landing, the safety of Alerion members is our top priority. As a nationally recognized leader in operational safety, Alerion sets the industry standard in safety and security. Alerion Aviation pilots are Wyvern Wingman certified operators. 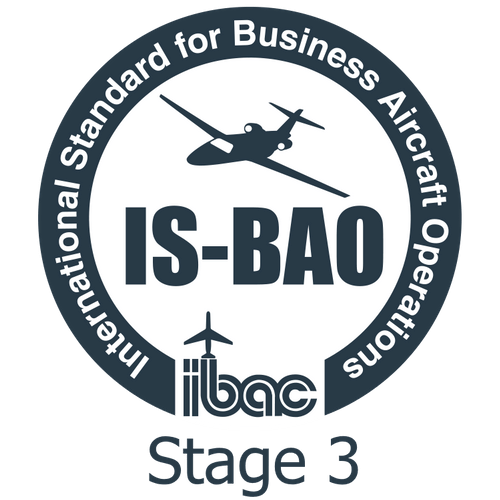 Our aircraft have received the ARG/US Platinum rating, having completed a stringent on-site audit under the EASA standards. With Alerion private jet charters, you never compromise your safety. Learn more about our safety and standards practices. Alerion private jet flights are designed specifically for you. Expect personalized attention and unremitting attention to detail with every flight, route, and itinerary. Make the sky yours, and fly your way. Explore a few of the planes in our word-class jet charter fleet. Call us, and we'll find an aircraft suitable for your corporate or personal travel. Whether it's a working flight or a welcomed break, Alerion has the private plane that fits your needs. From our Gulfstream IV that seats 13 to our Citation X that seats 8, we guarantee your private flight to be tailored to you. Our WiFi and Satcom phones keep you connected while you work or enjoy your specialized in-flight entertainment. Book now and spend more time on your business and less time traveling. With 13 executive seats, the Gulfstream IV is designed for comfort for the whole family or the entire corporate team. Having a range of 4,264 sm and a cruising speed of 534 knots, we guarantee to get you within minutes of your destination. Stay connected and relaxed with our international WiFi. Satcom Phone system, Conference table monitors, and a premium surround sound system. 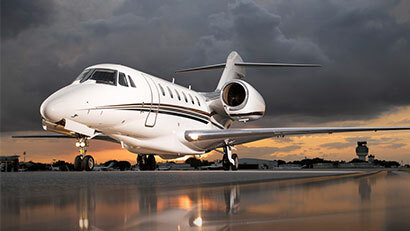 The Citation X is a top of the line jet with a range of 3463 sm, a cruise speed of 430 knots and a ceiling of 51,000 ft. This aircraft features 8 executive seats, free WiFi, four fold out LCD monitors, and a Nexus 4k UHD cabin entertainment system with unlimited movie streaming. Unmatched in comfort, the Legacy 600 features 13 executive seats for a relaxing flight. Stay connected to those on the ground while you're 40,000 feet high with Forward and Aft Flat screens, Satcom Iridium and Aerocom Interphone system, Medaire Service and free unlimited Wi-Fi. With 13 executive seats it has a range of 4,353 sm, cruise speed of 464 knots and ceiling of 45,000 ft. Equipped with a Magnastar Phone system, Airshow 400, High Definition Monitors, Full service galley, and a dedicated flight attendant. With 14 executive seats you are guaranteed to get the entire family or the whole office to your destination in safety & comfort. The Falcon 900B has a range of 3984 nm, cruising speed of 435 knots, and a ceiling of 51,000 ft. Designed to meet your every need, private charter flights are your solution to remain productive while travelling. 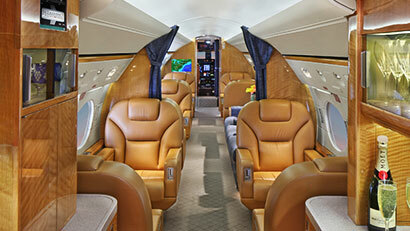 Alerion operates premiere facilities in the top private jet markets of New York, New Jersey, Florida, and California. Enjoy the luxury of convenient, on-demand charter flights. Whether it's for a world-class meal or your next board meeting, Alerion Aviation coordinates NYC jet charter travel through our dedicated facilities at Farmingdale Republic Airport (FRG) in Long Island, New York. Do you need a private jet to or from the white, sandy beaches of Florida? Alerion Aviation arranges convenient, private jet charters through our personal West Palm Beach, Florida facility. If it's a national park vacation or a corporate retreat, Los Angeles jet charter flights are available around the clock. Private jet charter flights, to and from Los Angeles, suit all of your on-demand flight needs. Private charter flights through Teterboro Airport in New Jersey offer privacy, convenience, and efficiency to get you to your investment meeting or the iconic Boardwalk for a guaranteed stress-free flying experience. Alerion Aviation understands the importance of your company and anticipates your every need with private charter services - wherever your next busindsfds. Copy here for popular routes and to let users know we have facilities in NY, FLA, and CALI. Want to incorporate popular keywords for those locations. Alerion Aviation coordinates NYC jet charter travel through our dedicated facilities at Farmingdale Republic Airport (FRG) in Long Island, New York, just minutes away from the heart of the city. I <3 private jet NYC. Every chartered flight with Alerion is complete with extreme attention to your jet charter requests. Our aviation experts and seasoned dedicated consultants arrange every aspect of your flight. No detail is too small. Alerion arranges your ground transportation, gourmet meals, specified drinks, in-flight entertainment and special service and amenity requests. Trust our dedicated team to ensure every flight is the ultimate solution for your business and personal needs. Book a jet charter and experience excellence in aviation. Every aspect of your life demands 100% attention, and your business success shouldn't hinge on connecting flights or seat availability. Alerion helps businesses make productive choices, with flight options, routes, and aircraft for every corporate jet charter. Private flights are available, when you need it the most. Alerion private charter flights get you to your morning meeting in New York, to your working lunch in Houston, and back home for dinner with the family. Relax and kick back with stress free private charter flights for your family, vacation, or personal needs. Your vacation starts before you board. Revel in the comfort, convenience, and privacy of our luxury jet charter cabins. Get to your holiday vacation in speed and style, and enjoy the expedited check-in at Alerion premiere terminals. Spend more time with your family and loved ones, and let our private flight charters rejuvenate you. Alerion's facilities are located in the top, private jet markets, providing you and your business with convenient, on-demand business flights. Experience the convenience and service of private flights from domestic and international airports. Having access to thousands of airports, our private flights get you closer to your destination, maximizing your time and value. Create your personal sky with Alerion. Connect with us and see how Alerion Aviation creates the perfect private charter experience. Create your personal sky with Alerion and elevate your business to new heights.